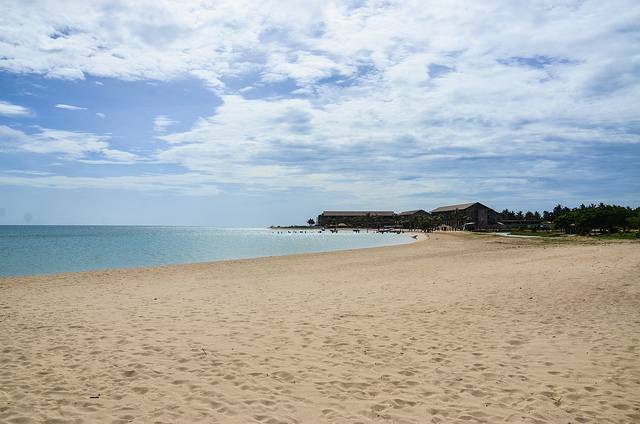 Pasikuda beach is one of the cleanest, safest and shallowest beaches in the world which lets you walk around 250 metres in to the sea. Travellers throng this beach and the nearby famous resorts all through the year. It is well connected by well-known cities like Batticoloa which is 35 kilometres from the beach. A lot of sport activities are available here. Divers can enjoy their time more than anyone else, as there are many delights to them. A 5 minute boat ride will land you to Pasikudah reef. Other diving spots are Boiler wrecks and British Sergeant. There are also places to visit off the shore, like coconut cultural park and Valachchenai fisheries harbour which is 3 kilometres from the shore.